The Ordinary Life of an Extraordinary Girl: Alex is in the paper - again! Alex is in the paper - again! Alex Bender, on horseback, gets guidance from WindWalkers instructor Beth Gusick, right, and executive director, Molly Robinson. WindWalkers is non-profit organization “where horses and caring professionals help families and individuals with challenges to grow and thrive.” Alex has been riding for five years and has been with WindWalkers since last September, she says the Gunner, the horse pictured, is the only horse she will ride. MISSOURI HEIGHTS, Colorado — A 360-degree panorama, blue, blue Colorado sky, rich green grasslands, breathtaking views of Mount Sopris and horses. Everywhere, ranches and horses. 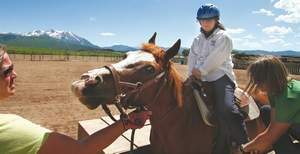 This article is about a beautiful 15- acre ranch, eight special horses, 28 families and several local groups.The horses belong to WindWalkers, a non-profit agency that acquires, trains and matches horses to a person, often a child, who is in need of the extraordinary benefits of such a relationship. 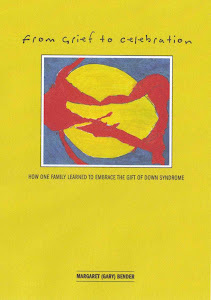 Families of children with special needs are always looking for programs that will enrich their child’s life. It may be a youngster with Down or Angelman syndrome, a depressed or drug-abusing teenager, a hyperactive child with attention deficit disorder, or a person with physical disabilities that first brings these families to WindWalkers. Their youngster’s success, their admiration for the staff and their support for each other is the foundation of the WindWalkers’ community. “Horses are amazing therapy animals, offering riders immediate feedback, lots of physical and neurological stimulation, gentle acceptance and a wonderful fun activity,” said Molly Robison, director of WindWalkers: Equine Assisted Learning and Therapy Center. Beth Gusick, program coordinator, and Mel Wiley, horse coordinator, select and train the horses to participate in the program and match them with their human partner. Gusick is a riding instructor certified by the North American Riding for the Handicapped Association. WindWalkers staff selects horses that have a certain temperament, and balance the herd to meet a variety of rider’s needs. “We have mellow, smooth-gaited horses, and those horses may be a good match for a hyperactive child with focus issues. A relaxed horse is perfect for that rider, because there will not be a lot of bounce or excessive stimulation,” Robison said. “Peaches and Ally are smooth as cream,” she said. “We use Nick and Bronco when a rider really needs to rock and roll. We get riders who need a lot of physical stimulation and energy to build muscle strength. And then there are Gunner and PJ, who are right in the middle,” Robison said. At present, 28 families bring a loved one to Windwalkers for the enjoyment of riding. They discovered the organization in different ways. Parents of children with special needs often know each other, and most new referrals to WindWalkers come from families already using the program. Social service agencies, therapists and schools also make referrals. Children or adults looking for a therapeutic riding experience will visit WindWalkers, and then complete an assessment to determine their riding goals. Margaret “Gary” Bender moved here in 2006 and WindWalkers came to her by coincidence. A person sitting next to her on an airplane told her about therapeutic riding at WindWalkers. 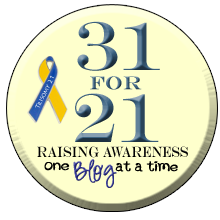 Her daughter, Alex, 18, is one of many participants who have flourished in the program. Alex is a young adult with Down syndrome, and has participated in the WindWalkers since she was 13. At first, she was shy and lacked confidence. With the goal of improving communication, speech and core muscle strength, Gusick and Wiley create riding activities to enhance Alex’s social and academic skills. Her eyes brighten when she talks about Gunner. “I ride Gunner all the time. Gunner loves me and misses me when I’m not there. He looks me in the eye and tells me ‘I am glad to see my buddy.’ I can feel that he really wants me. He feels it in his heart and I feel it,” Alex said. The WindWalkers community has a big dream — to own its own therapeutic riding center. The vision includes making the center a residential community ranch with living and employment opportunities, a place where residents feel welcome, accepted for who they are, included in the program and worthwhile as contributing adults. Great article! Lucky Gunner, lucky Alex. Woohoo! Congratulations Alex! You look good up on Gunner!